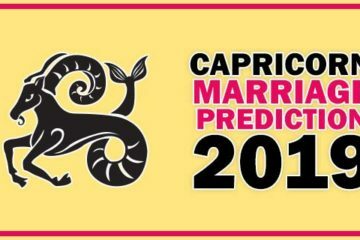 Leo marriage horoscope 2019 is going to be difficult if you are looking for marriage. Your marriage prediction of 2019 is saying you have to wait for marriage. Let’s read full detail below. The upcoming year will be full of up & down for the Leo zodiac sign. As far as marriage is concerned, those who are waiting for the marriage of the Leo will be affected by the position of Saturn, Jupiter, Rahu & Ketu. Saturn’s effect will be important on their family life and marital life. Rahu and Ketu are also considerable. First of all, talk about Love Marriage, in this year, those who want to get married, especially love marriages, they can get success. Because Rahu and Ketu are known for giving unexpected & untimely results, Saturn’s aspect on them makes the love marriage yoga stronger in the seventh house. At the beginning of the year, in January, Mars is in eighth house and Saturn’s aspect remains on the seventh house. Venus and Jupiter’s position is also good in the fourth house. Sun and Mercury are in the sixth house in the best position. I can say that overall planetary position is good and there is a favorable environment for marriage, but remedy for Saturn is necessary. Worship of Saturn is essential for you at this time. If you worship Saturn then with the blessing of Saturn you will undoubtedly get the best. 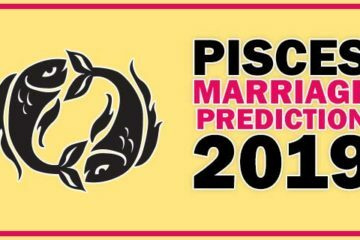 In the month of February, marriage prediction is similar to the January. It means people of Leo’s marriage are possible in February. In the middle of February, the position of Sun and Mercury will be in the seventh house. It is a great yoga, but for the people of Leo who wish to love marriage will make some mistake when they will be at the peak of success. So be careful, for the Love Marriage, hard time will start from the middle of February that will continue further. There is no perfect yoga for marriage in the month of March. In the middle of March, when the sun will transit from the seventh house to the eighth house, then there will be favorable conditions for marriage. Therefore, the prediction of marriage is auspicious for you in the middle of March. The marriage prediction is good for you in the month of April. There will be many marriage proposals, you will have many options and will be happy with these marriage proposals. The month of April for arranges marriage will be very important. But in the middle of April, Mercury and Venus will be in the eighth house. Jupiter will change its position from fourth house to fifth house. There will be an environment of confusion & quite mysterious atmosphere. In short, it can be said that Love Marriage’s prediction will increase your confusion after mid-April. Wait for a little for the Love Marriage. The prediction of marriage is not favorable in the month of May because aspect of Mars is on Saturn and aspect of Saturn is on marriage place. Rahu’s aspect will also be at the seventh house this month, so there will be environment of confusion which will increase gradually. In the middle of May, Mars will leave the Taurus and go to Gemini and on the other side; there will be aspect of Mars on the family place. The atmosphere of the house will be something full of chaos that will not be accepted by everyone. Therefore, the prediction of marriage says that the month of May is not good for marriage. For the prediction of the wedding, the month of June is also going to be proven like last month because the aspect of lord of second house Mars is on Saturn. Due to not being reconciled on all things in the family and due to the aspect of Mars on the lord of the seventh house, marital affairs will be tangled up. Expecting the marriage is worthless in this month. In the month of July Mars will be in Cancer and its aspect will be at the seventh house. It is a difficult time, in addition to the aspect of Mars, the aspect of Saturn and Rahu will also be at the seventh house, hence the July month is not the right time for the wedding. I advised you that you should not try more. 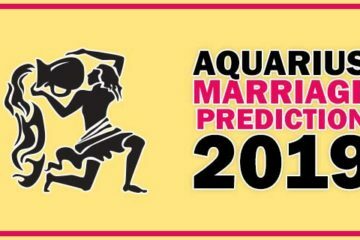 In the month of August, the marriage prediction will prove like the last month as the aspect of Mars will remain intact. Although in the middle of this month, Mars will leave the Cancer sign and will come in the Leo. But the seventh house will remain under the aspect of Mars with its seventh aspect and the fourth aspect will be on Jupiter. The people of Leo should not expect good marriage proposal in this planetary position. I would advise you to consider only those marriage proposals where you see some hope. If marriage is fixed and looking for auspicious marriage date then I would suggest you to fix the date after 2 months. In the month of September, the seventh house of your horoscope will be under the influence of Sun, Mercury, Venus, Mars, Saturn and Rahu. Consequently, you will receive many marriage proposals, but even a single proposal will not attain the fulfillment. Most planets will change the sign in the middle of this month, but Mars’s aspect will remain intact at the seventh house. Therefore, the marriage prediction says that there is a delay in marriage. In the month of October, the marriage’s prediction is still the same, that is, the chances of marriage are not yet made. The environment of the family can be quite stressful, thus, this is not the best time to perform tasks such as marriage. In the month of November, Mercury, Venus and Jupiter will remain in the fourth house of the horoscope. This planetary situation is indicating that it is time to complete many previous long pending tasks. But there is still delay in marriage; you can make plans to find out the good marriage proposals. In the middle of this month, Mars will leave second house to move in the third house of the horoscope and no doubt it will resolve your many troubles. Jupiter will also come in fifth house, this situation is going to give a new direction for marriage. You have to try from the beginning to get the success. This time is best for those who are interested in love marriage as for some last month there were no yoga of Love Marriage for the people of Leo signs. New contacts can be made this month, where you can think of marriage. In the month of December, the marriage prediction says that the time has come for you, especially for Love Marriage. The people of Leo who are waiting for a long time for marriage, December is a month of celebrating happiness because their wish is going to be fulfilled. But you should seriously consider marriage because in the near future Saturn will leave Sagittarius and come to Capricorn. That time will prove to be very important for you. Many types of pending tasks are going to be completed, in which the marriage is prominent.